Smith McInnis (1914-2011) was a descendant of Scottish Highlanders who immigrated to the Cape Fear River valley in southeastern North Carolina. The influence of these settlers is evident today in the names of communities in the region—Aberdeen, Dundarrach, Tobermory, Laurinburg—and in the strength of the Presbyterian Church there. Because the Cape Fear was navigable to Fayetteville, that city emerged as an important inland port prior to the Civil War. Angus McInnis, Smith’s great-grandfather, traveled from the Isle of Jura in Scotland to America around 1820 and found his way to the Fayetteville wharves where he worked as a boatwright. Later the McInnis family moved to Rockfish Station in adjoining Hoke County, where they farmed. The schoolhouse was a three-room affair. They had built some make-shift stage and put up some burlap cotton sheets to make a curtain. And those fellows would get behind the curtain to tune up, but that couldn’t contain the sound. I still remember it, them hitting the E and A strings, the first two strings on that fiddle. That was just fantastic to me. Even at a small age I could tell they were in chord. Smith began learning tunes by blowing on a harmonica while his brother, Tommy, fiddled dance tunes. By age 16 he was playing the fiddle for square dances held in neighbors’ homes and in tobacco pack houses. A neighbor family, the Sessoms, accelerated Smith’s development as a fiddler. Several of the Sessoms children played music, and one son, Francis, was widely acknowledged as the premier fiddler in the region. Smith learned tunes from both Francis and his younger brothers, Tom and Dewey. Smith McInnis fiddled breakdowns and hornpipes at a quick pace that nonetheless featured fully developed melody lines. These qualities made his made his fiddling exciting and well suited for both dancing and listening. Smith was particularly adept at “pushing” the bow to add subtle rhythmic embellishments to a tune, all the while maintaining a driving pulse. While recuperating from surgery at age 70, Smith decided to take his fiddle out of the case. Finding a renewed interest in music, he began practicing regularly to regain his touch. 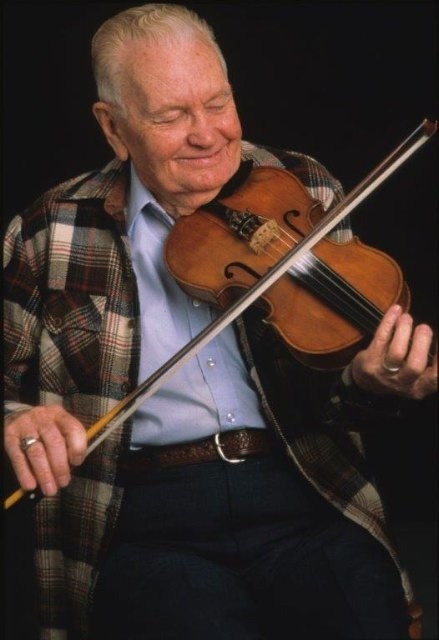 He entered and won prizes at several fiddle contests and accepted invitations to perform in churches, rest homes, senior centers, and at funerals, banquets, festivals, and parties near his home in Raeford. During the 1990s he played with local bluegrass musicians and, on occasion, with banjo players Marvin Gaster and A.C. Overton. Smith McInnis received North Carolina’s Folk Heritage Award in 1996. His music is featured on the anthology of North Carolina piedmont stringband music entitled Going Down to Raleigh.